TruGreen Midsouth services home and business properties throughout the state of Louisiana. With a headquarter location in Prairieville, our team of turf specialists partners with clients throughout the Greater Baton Rouge region to transform their residential and commercial lawns with sustainable results. Most importantly, at TruGreen Midsouth, Louisiana isn't just where we work – it's where we live! We have unparalleled local insight into how our state's unique soil, climate, and unexpected acts of nature can impact the health, strength, and beauty of our clients' lawns. Centipede is one of the most popular grasses found in Louisiana. Locals here love this species based on its high heat tolerance and low maintenance requirements. Yes, Centipede grass does well in our warm southern sun. However, it doesn't tolerate heavy foot traffic, easily showing signs of damage. 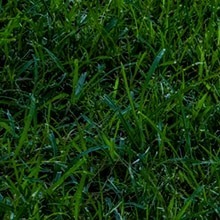 Additionally, Centipede grass is highly vulnerable to diseases, including Centipede decline that causes a failure to green-up in the spring followed by rapid deterioration and even the death of the lawn. This grass also thrives in the Louisiana heat, presenting a thick, coarse carpet of green with fairly little upkeep. Unfortunately, much like Centipede grass, St. Augustine species struggle with high foot traffic. This lawn type also suffers from a declining disease, which once contracted, is hard to recover from. 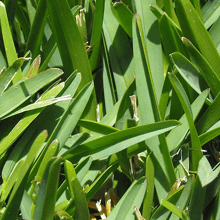 Pests can also pose a significant threat to St. Augustine grass. While less common than Centipede and St. Augustine, Bermuda grass makes an excellent option for Louisiana properties. 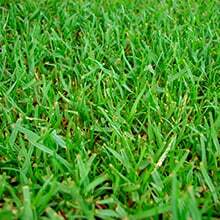 Easy to install and seed, Bermuda lawns quickly develop a deep green color and dense, lush texture. Most importantly, Bermuda grass can endure heavy traffic activity, and its hardy constitution makes it more resilient to temperature shifts, pest infestations, and disease. At TruGreen Midsouth, we often recommend Bermuda grass to our clients when their Centipede and St. Augustine lawns are failing. 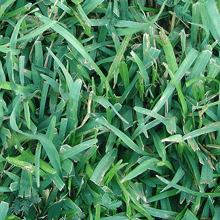 Zoysia grass works well in heat and drought conditions, making it an excellent option for lawns in Louisiana. Much like Bermuda lawns, this warm season grass demonstrates cold tolerance and can endure heavy foot traffic with little maintenance and watering. Zoysia takes a little longer to establish than other grass species, but it develops a deep root system that enables it to fight off viruses, insects, and other threats. At TruGreen Midsouth, we know Louisiana lawns. Whether you're installing a new lawn or repairing an existing yard, our turf professionals can help you pick the right grass for your property. Contact us today to hear more.